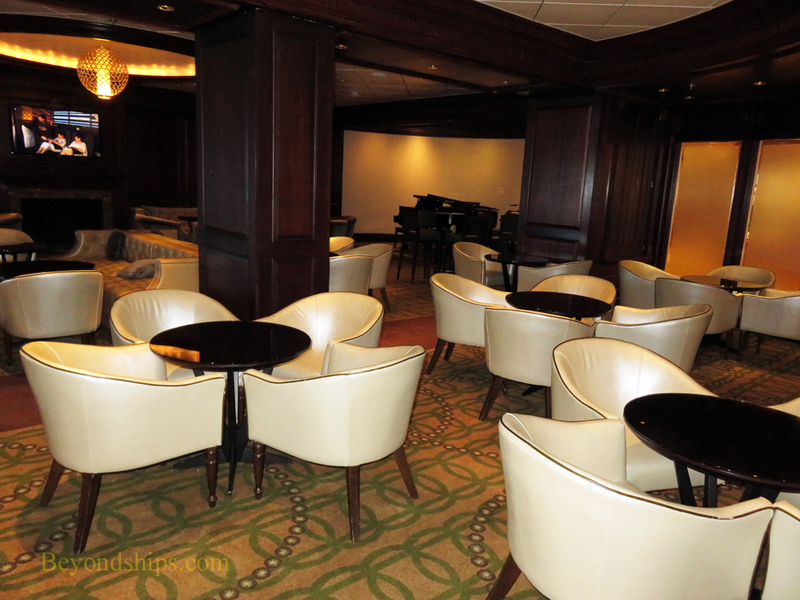 The Rendezvous Lounge is a large lounge located just forward of the Cosmopolitan Restaurant making it a convenient locale for before and after dinner drinks. 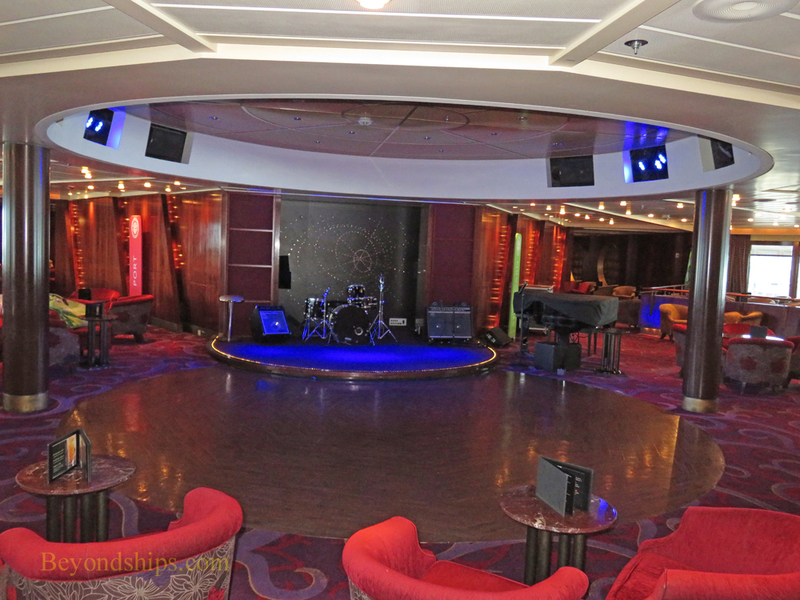 It has live music in the evenings. 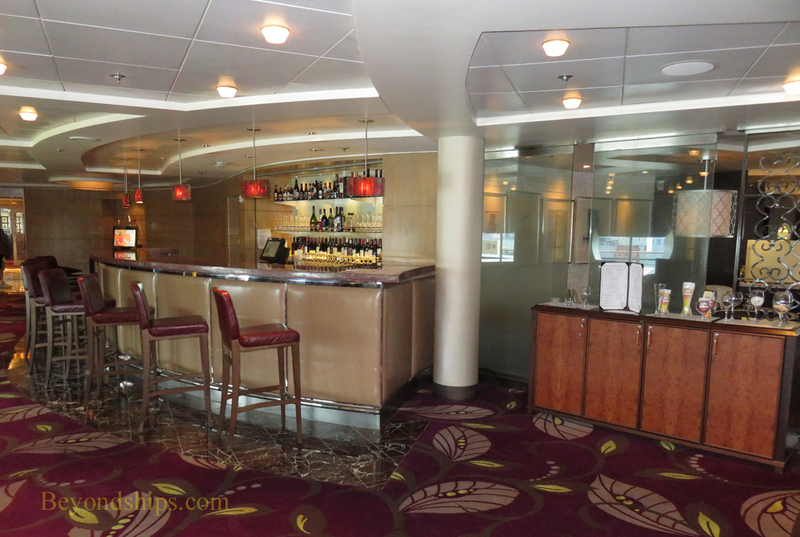 The Martini Bar (left) has a lively contemporary atmosphere in the evenings. The surface of the bar is coated in ice during the evenings. 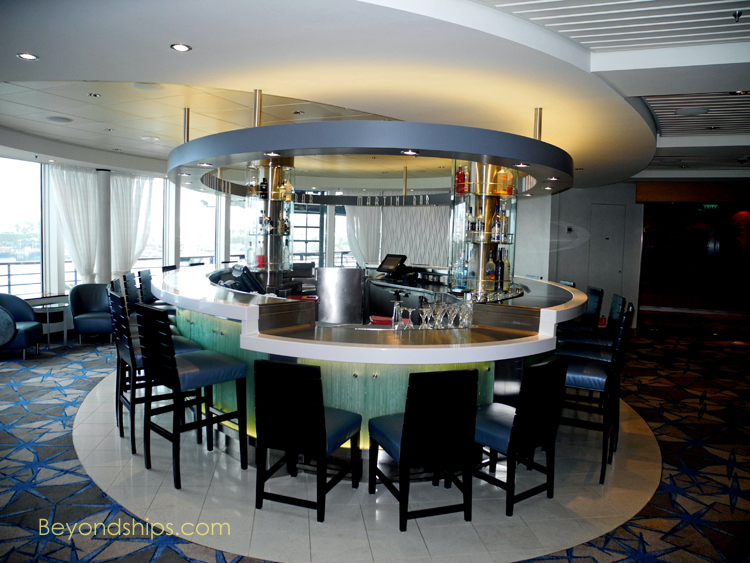 Nearby is Crush (above), which features premium vodkas. Cellar Masters (below and right) is a wine bar, featuring a large selection of wines by the glass or the bottle. 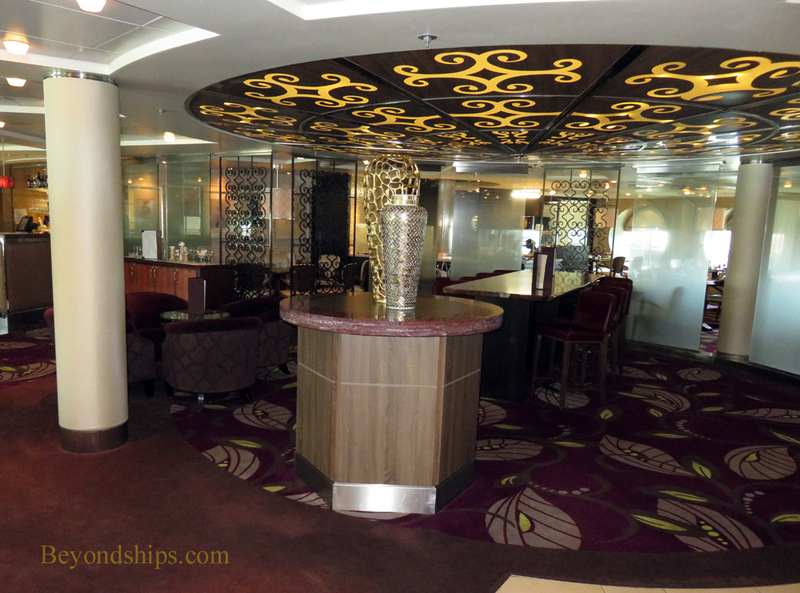 Michael's Club is a VIP lounge for guests staying in certain suites and for members of the top tiers of Celebrity's passenger loyalty program. 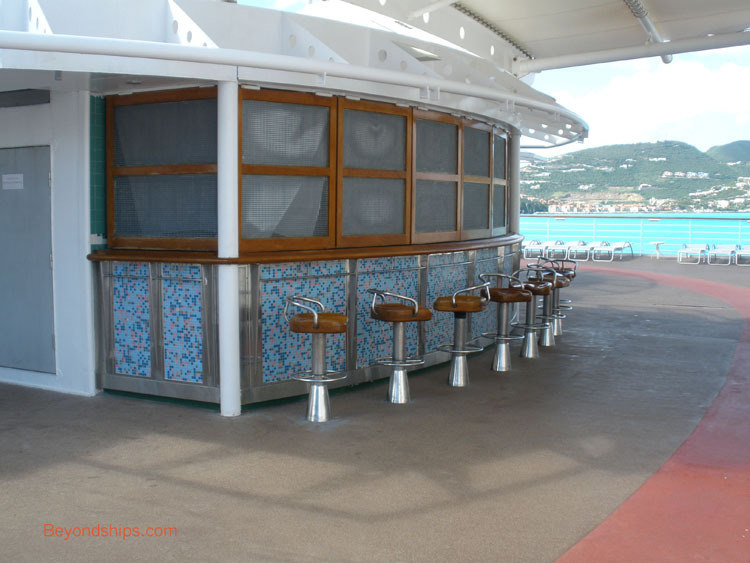 There are also bars serving the open air decks. 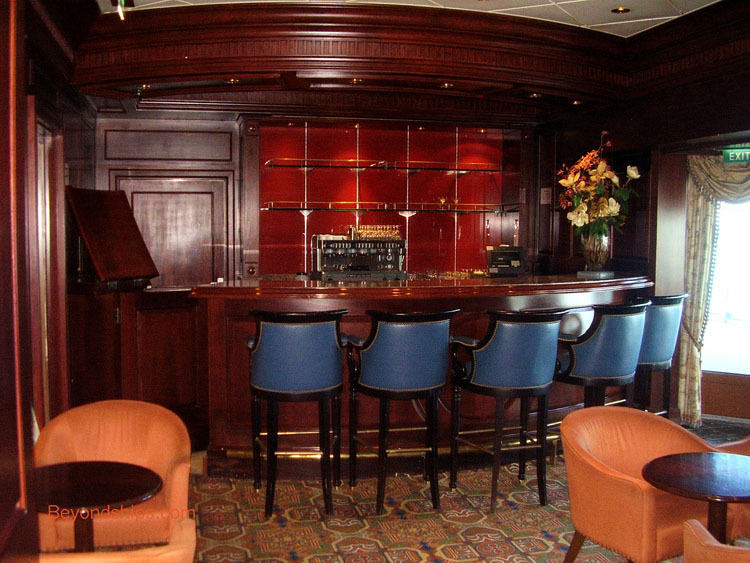 The Sunset Bar is located aft overlooking the stern of the ship (above). 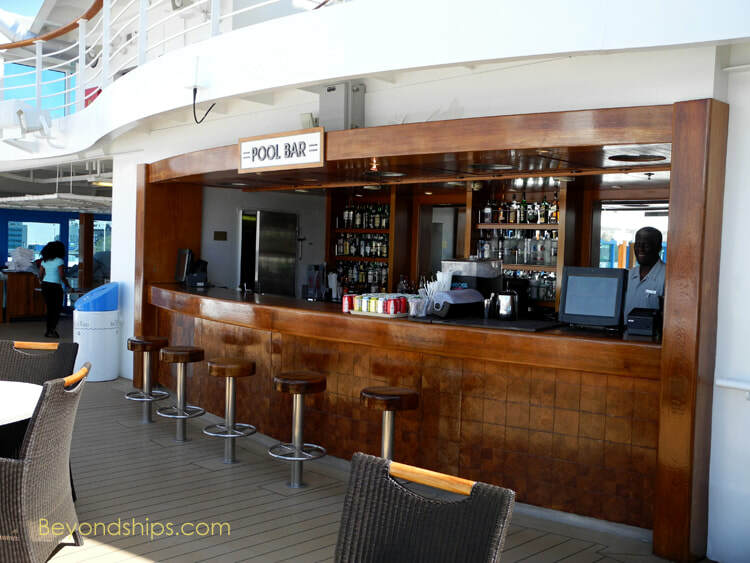 The Pool Bar serves the pool area (above right). One deck above, is the Mast Bar (right).